This new program was created to bring the PRO to historic American theaters by covering 50% of the Orchestra’s fee. Funding is provided by the National Endowment for the Arts (NEA) and administered by the PRO. If you manage or present in an historic theater, you may be eligible for this support. Any of the Orchestra’s programs can be presented using this funding. Please call Leslie Cullen at (570) 524-9511 or email [email protected] to learn more about this exciting opportunity. The Paragon Ragtime Orchestra – now supported by the National Endowment for the Arts. Recent Paragon Live in Historic American Theaters! 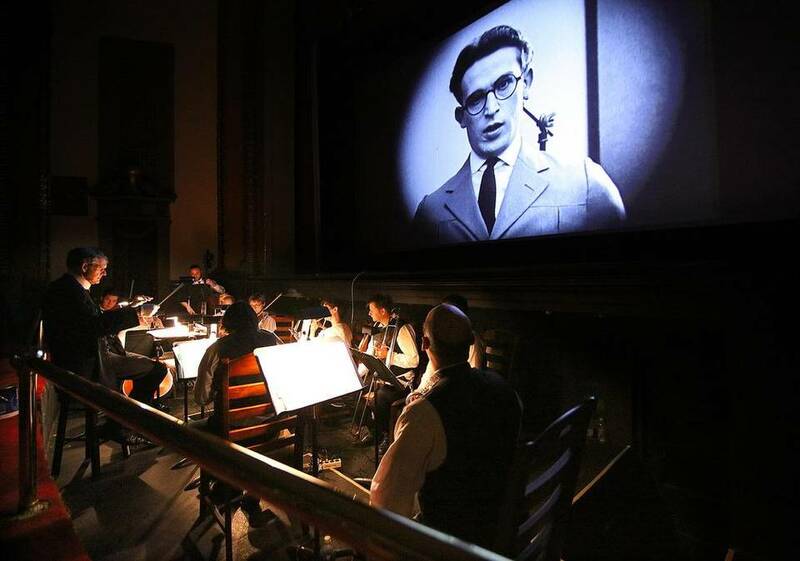 Rick Benjamin and the Paragon Ragtime Orchestra accompany silent films at the 1917 Rowland Theatre in Philipsburg, PA. Event presented with funding support from the National Endowment for the Arts. 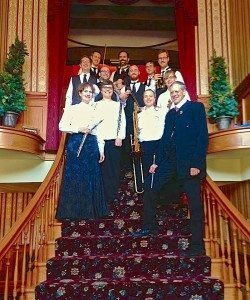 Rick Benjamin and the Paragon Ragtime Orchestra after their Scott Joplin concert in the 1903 Elkader Opera House in Elkader, Iowa. Event presented with funding support from the National Endowment for the Arts. 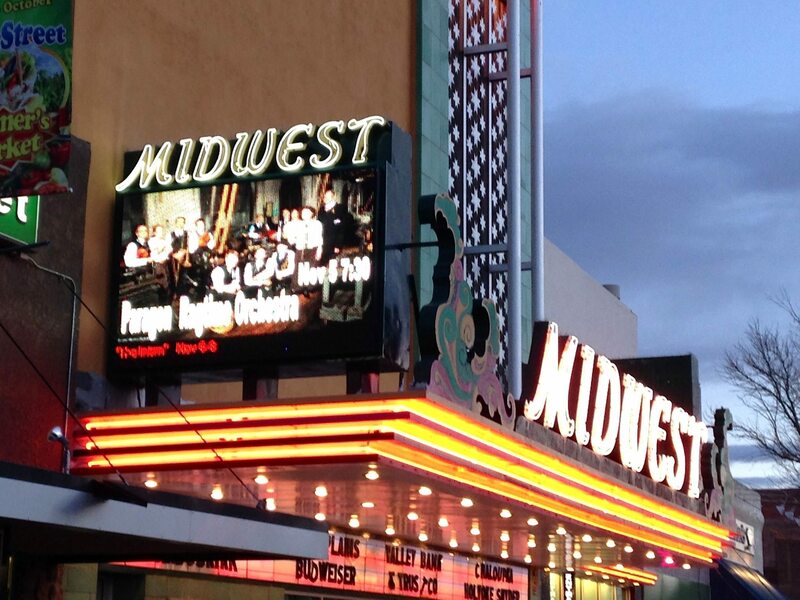 On the marquee: The PRO plays the historic Midwest Theatre in Scottsbluff, Nebraska.